The harpsichord is related to the organ and the piano, to mention a couple that has been created with the same idea of the harpsichord. The harpsichord was developed around the same time that the clavichord came around, which was sometime during the 16th century. It is a stringed instrument that is played by pressing the keys. When each key is pressed, it strikes the string and this is what causes the string to vibrate in order to make a sound. 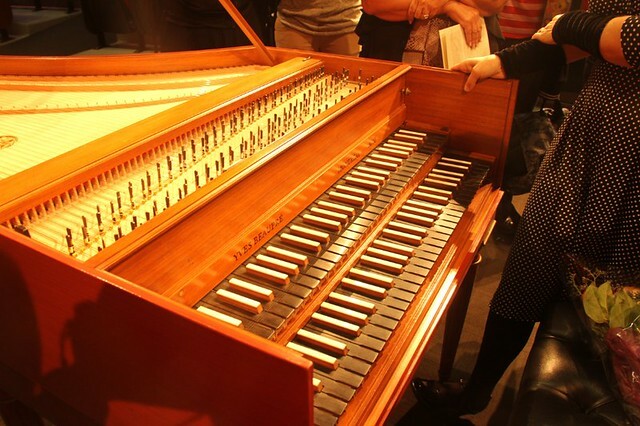 For a while, the harpsichord was a popular instrument that was often used during the baroque music period. Its popularity may have been maintained had it not been for the creation of the piano. Once the piano was created, popularity fell from the harpsichord as the piano became the preferred instrument. The harpsichords design is not too different from that of the piano, probably because the basic design of the piano originated from the harpsichord. The sounds produced from the strings of the harpsichord alone are not very loud. In order to enhance the sound, each string is set over a bridge that allowed the string to vibrate freely. The harpsichord also resembles the piano in appearance when one takes the time to compare the two. With such similarities, one might wonder why most would abandon the harpsichord for the piano when the piano was invented. It could have been that the piano was more efficient and more versatile than the harpsichord, though the harpsichord is still played today in modern music. While it may never again be anywhere near as popular as it once was, the harpsichord appears to still have a place in music and it might never be obsolete. While it shares similarities with the piano, it is still its own unique instrument that offers its own unique sound. While most will favor the piano over the harpsichord, there are some who play the harpsichord because they like the sound. It is not an overly complicated instrument to learn how to play. Someone who has interest in learning how to play it and finds a good teacher will have little trouble. The sheet music is also fairly basic and few will have much difficulty in gaining good control of the instrument. Someone who is familiar with playing the piano will have even less difficulty because the basics are more or less the same. Finding a harpsichord to play might not be as easy as finding a piano, but they are still being constructed. Finding a used one might the best idea for someone who is new to playing the instrument because a new one can be quite expensive. Finding a teacher who can teach the harpsichord may also prove easier than one would think. Again, the basics of playing the harpsichord are not too different from the basics of playing the piano. They are related instruments and share many similarities that make it possible for one to have little trouble in playing both. The harpsichord is certainly an instrument that is worth the effort for anyone interested enough to give it a try. Victor Epand is an expert consultant for used CDs, autographed CDs, and used musical instruments.